How to land your dream job and keep it! This workbook is from the perspective of an HR and Recruitment professional, and will give you access to insights, tools and the general application guidelines you need to navigate all the stages of the job search, selection, offer and onboarding processes. The intention is for this to be your guide to taking the direction of your career into your own hands. Get your pen and highlighter ready, it’s time to get to work! 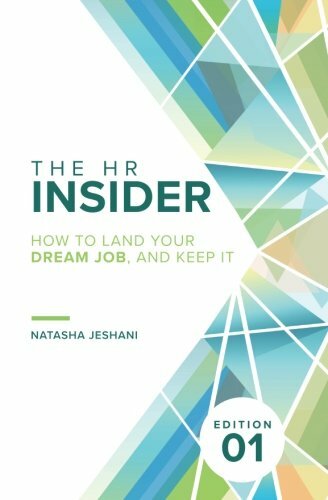 The HR Insider: How to land your dream job, and keep it! Natasha worked with my company as an HR temp and she was amazing, I always felt heard and supported by her. She definitely knows her stuff ! Frances Wong - 5.0 out of 5 stars Invaluable & useful information! Excellent and useful book with regards to navigating my job search, and figuring out the most effective tools to find the job I was hoping to find. Jazmin Welch - 5.0 out of 5 stars SERIOUSLY USEFULL INFO! Very comprehensive, easy to use book for navigating the hiring process. This book cut through all the bull and laid it out for me in a way that I can really put into practice. I highly recommend this read to anyone starting their job search process and to have on hand for future uses! Great read for job seekers! Smokeythebandit - 5.0 out of 5 stars A must for anyone who wants to land their dream job! As a mom finally getting back into the workforce, I found this book to be so informational. It helped guide me to what was so important after many years of being out of the workplace. It provided the insights I needed, the tools required and the aspiration to achieve the career I have been looking for. Thanks for writing amazingly easy to understand read! Thank you to all of our readers - you helped us hit NUMBER ONE on the Amazon Best Sellers List!